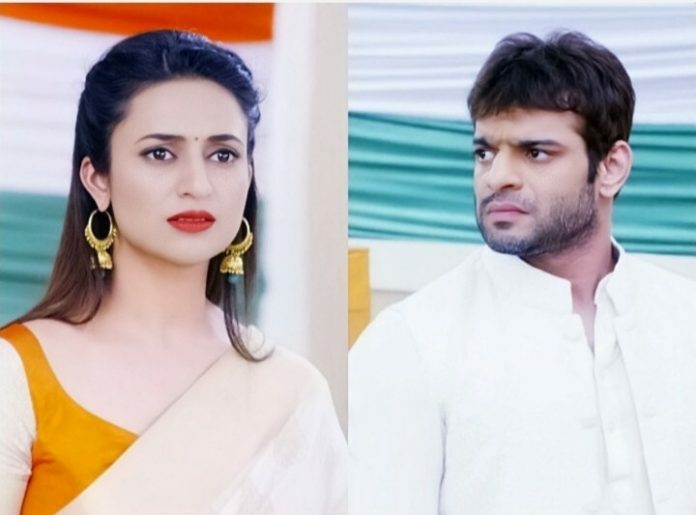 Yeh Hai Mohabbatein Upcoming drama. Sudha shocks the Bhallas once again by revealing about Raman’s arrest. She gives tension to senior Bhallas deliberately. Rohan understands that she is doing this to hurt their emotions. He asks her to stop the drama. Aaliya connects with Rohan and asks him to let Sudha be on her own evil path. She doesn’t seem to be affected by Sudha. Karan gets angry seeing Rohan and Aaliya’s bonding. Sudha tells Karan that she can’t stand Aaliya. She feels upset that Aaliya is slowly dominating Rohan’s mind. She is sure that Aaliya and Ishita will throw out Rohan once her plan works. She wants Bhallas to leave from Rohan’s life. 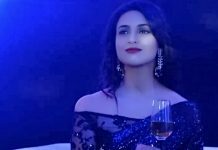 She wonders why didn’t Ishita realize this by now, when she has witnessed Raman taking the sweets from Rohan. Meanwhile, Yug contacts Ishita to thank her for his work. She advises him to always do work sincerely. He tells her that he will remember his advice and also work hard. He offers her help. Ishita reaches home and realizes about the sweets which were spiked. Rohan feels guilty since he has fed the sweets to Raman. He feels he will be in deep trouble if Bhallas know this. He calls up Sudha and asks her to come fast to rescue him. Rohan tells Sudha that Raman was drugged by the medium of oral food intake. He tells her that he will be caught, since she has got the sweets box. He doubts that the sweets are drugged. Sudha asks him not to get involved in the matter and leave. She finds him too innocent. He tells her that family will be sure of his involvement if he runs away. She tells him that she got the sweets for him, but Bhallas won’t believe him. Rohan gets sure of her plans and calls the cops there. He tells her that he has called the cops to surrender himself. Rohan admits that he has fed the sweets to Raman, but he had no such intentions. He gets arrested, which shocks Sudha. Sudha wants to stop his madness. Rohan tells her that he isn’t a big fool to support her. Raman gets released from jail. He sees Rohan put inside the cell. He wants to know what did Rohan do. He learns that Rohan has surrendered himself and took the blame on himself. Raman gets angry seeing Sudha there. Sudha tries to defend Rohan. She fails to meet her son. Constable tells her that Rohan wants to stay in jail and doesn’t want to meet her. Yug tells his friends that Raman’s family is decent, and this is someone’s conspiracy against Bhallas. He feels Raman and Ishita are good people. Yug gets impressed with Ishita and decides to connect with her. He tells them that Ishita has forgiven them despite the fact that he kidnapped her. He feels she has made his life good and wants to give her respect. His friends agree with him. Yug tells them that he is amazed to see a brave woman like Ishita. Yug plans to meet her and thank her for help. Bhallas and Iyers get against Rohan and his family. They want to punish Rohan. They get surprised when Aaliya takes a stand for her husband Rohan. Ishita realizes Aaliya’s feelings for Rohan. She refuses to help Rohan, since he is not innocent. Yug saves Aaliya from an accident. Yug enters her life as a savior.